This past Sunday, I saw my best friend and his bride for dinner with me and my wife. My best friend tends to be more on the conservative or at least Republican side of things, while I started our friendship over twenty years ago as a raging liberal and have gradually moved more to the center. Aging, 9/11 and the realization that both parties have done precious little over the past twenty years to address our biggest problems will do that to a guy. Anyway, I think it’s safe to say that politics tends to be my more bag than my best friend’s. But, I do respect his opinion and value getting his POV as it often differs from mine and helps me check my own beliefs. Over dinner, he rocked my world. He busted out that he met some guy at a barbecue earlier in the day that told him all about 500 tons of Iraqi yellow cake uranium that had been discovered and was being moved out of Iraq. According to my friend’s new friend and the blog (this will be important in a few moments) that he showed him on his laptop, this was all a shocking case of the often referenced “liberal media bias” in action. The original story, according to the barbecue laptop guy, was reported in July, yet the media (who ever they are these days) hadn’t made a big deal about it. My best pal asked me if I’d heard about it. I had not. Hmmmmm…. Here was the smoking gun. They found weapons of mass destruction in Iraq and no one was reporting it. Bush was vindicated. The Iraq War was justified. Wow, maybe I owe our President a big apology I thought. 1 – it’s an old story. The yellow cake uranium in question has been known to be in Saddam’s possession since the 1980s. And none of it dates from after the First Gulf War. So, it’s not the smoking gun that proves that Bush was right to invade Iraq. Saddam had the stuff in his possession & we knew about it for over 20 years. If it wasn’t dangerous enough for us to oust Saddam in the 80s or under the first and wiser President Bush, than what would make it a justification for the second Iraq War? 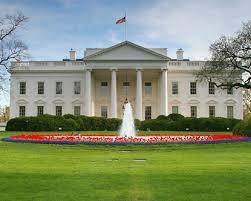 2 – The US wanted to keep the movement of the material as secret as possible. Apparently, we were concerned that if it was widely known that we were moving it out of Iraq that extremists might target it. The US Government didn’t want this to be a big story. By searching the net, I found reporting on the material over the years. So, the media has in fact been reporting it. It just isn’t a big story cause of the two reasons listed above. I know many people believe there’s a liberal media bias (despite the dominance of conservative talk radio & Fox News) but this just is not a case of liberal media bias. In fact, the Bush Administration was trying to build the case that Saddam was trying to buy more uranium as a justification for the war. That has to date not been proven. Below is a link to a good article on the uranium in question from MSNBC and I also pasted the most relevant excerpt if you are pressed for time. Tuwaitha and an adjacent research facility were well known for decades as the centerpiece of Saddam’s nuclear efforts.Israeli warplanes bombed a reactor project at the site in 1981. Later, U.N. inspectors documented and safeguarded the yellowcake, which had been stored in aging drums and containers since before the 1991 Gulf War. There was no evidence of any yellowcake dating from after 1991, the official said. If none of this convinces you that the guy at the barbecue was off base, then ask yourself this. If this was such a big story & vindicated Bush for this war, than why isn’t he out there saying so? I would have attached a link to the blog my friend saw at the barbecue, but I don’t know what it was. On a related note, seems to me this blogosphere (if that’s what we blogging nerds are calling) is at once one of the greatest aids to democracy in the world and at the same time one of the greatest threats. Fact is any yahoo can start a blog (like I did). I make no claim to be an expert and try hard to let readers know when I’m guessing at or assuming something. I am by no means perfect. So, if you read this blog, PLEASE fact check me and let me know when I’m off base. It’s the least we can do as modern day Americans. The McCain Post That Almost Scared This Undecided Voter Enough To Commit To Obama! I’m an undecided voter. Full disclosure, I’m someone who’s always gone for the Democrats in Presidential Races. But, I’ve also always liked John McCain, although I’m not sure I know entirely why. Mostly, I feel like this is a really important election and America’s challenges are so big that we ALL need to break out of our left-right, liberal-conservative thinking. I think that we all need to really give full consideration to who we are going to chose to get us out of George W. Bush’s mess. If that means me voting for a Republican presidential candidate for the first time, so be it. So, I’m trying really hard to stay open to John McCain. I’ve been telling everyone that for me it’s going to come down to the debates. And I still stand by that. Yikes! It all came back to me. The last two times out, we as a nation voted for the guy we’d prefer to have a beer with. What did that get us? A president who is not intellectually curious. We got a guy who’s no deep thinker. Certainly, it’s good to know what you believe. But, as president, it’s even better if you can learn and adjust your assumptions and beliefs based on the facts as they are rather than bending the facts to fit your personal truth. John McCain was almost last in his Navy class of approximately 900 cadets. He seems like a guy who’d be fun to have a beer with. I really am going to try to stay open to him. After all, the world is full of people who didn’t do well at school and did great things in life. Still, I can’t shake the feeling that Barack Obama is simply the smarter guy. Clearly he’s curious and seems to think things through. It would be good to have a true smart guy (or gal) back in the White House. Certainly, America could use some truly brainy leadership right now. Nope! I’m going to stay openminded. That’s my pledge to you, America! Pity John McCain. He’s spent all week dumping lobbyists from his campaign only to have to throw his top spiritual adviser overboard today. Guess the question now is “is anyone actually still officially working on the McCain campaign?”. Must be getting mighty lonely for the “maverick” senator these days. Then again, maybe he has some company on the other side of this race. First up, lobbyists. For a guy who’s made a career out of being a maverick (no annoying quote marks this time), it turns out John McCain is a lot like every politician. I can’t really say that I blame him all that much. I truly believe McCain is his own man much of the time. In part, it’s the system that forces people like McCain to play the game. In part, it’s ambition. Whether personal or for the greater good, if you want to get things done, you have to play the game by DC’s rules. And DC’s rules include lobbyists. It’s interesting that Obama’s campaign has jabbed at McCain over the lobbyist issue. I’m no journalist or insider, but my guess is that the Obama camp is playing with fire. As interconnected as everything is in politics, it will come as no surprise if revelations come out about the people on Barack Obama’s campaign having lobbying backgrounds. Next topic – mean, maybe crazy religious people! All of us who were sane and sober over the last few months, know all about Reverend Jeremiah Wright and the challenge he’s been to Barack Obama’s campaign. It seems to have died down now and perhaps it will turn out to be good for Obama that it came up so early in the process instead of during the general election. Yet, you can’t help but feel that the Obama camp is just one sensational Youtube clip away from being right back at square one having to explain Jeremiah Wright. As for McCain, he has at least two crazy religious guys whose endorsement he’s been proud to garner. Reverend John Hagee, of course, is the guy he threw overboard today. After accepting Hagee’s endorsement, McCain ended up having to defend some of Hagee’s charmingly misguided hateful statements about the Catholic Church, the city of New Orleans and others. In comparison to the Wright controversy, the original Hagee controversy died down quickly. Too quickly perhaps. Speaking of sensational video clips, when a clip of a 1990s Hagee preaching about how his god had put Hitler on Earth to do god’s bidding, the controversy re-ignited and forced McCain’s hand. After all, if you’re running for president of the United States, it’s tough to be in bed with a guy who thinks Hitler was an instrument of god. You get the feeling that the controversy over the holy men in Obama and McCain’s lives isn’t done yet. My gut is that people will always understand, if not respect, selling your soul to the devil. 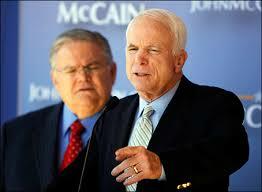 People will see the politics at play in McCain looking for Hagee’s endorsement. 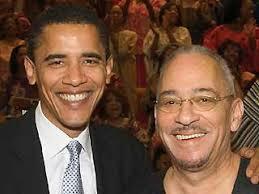 With Barack Obama, Jeremiah Wright is a personal thing. As much as anyone might like or admire Senator Obama, it’s tough to understand how he could have just sat there for twenty years in Wright’s church hearing nothing. Despite the upheaval today, call this one in favor of John McCain. Final topic! Why ARE religious people so mean? Listen, I grew up Catholic in the 1970s. Despite what you might have heard about alter boys, in my parish it was all about the New Testament and a loving God. What is it about politics that attracts people with hard line religious beliefs? Hagee’s god, when not enlisting Hitler as a sidekick, is busy destroying New Orleans due to him being peeved by the sin going on in the Big Easy. 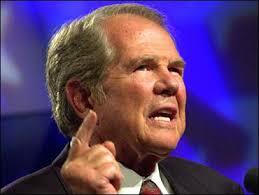 Falwell and/or Pat Robertson’s god is busy knocking down the Twin Towers to punish us. Rob Parsley (McCain’s “spiritual guide”) thinks the United States was created to destroy Islam. Do these guys love their Old Testament or what? Here’s my guess. It’s all about being right. It’s an addictive thing. Ever had the experience where something bad came true that you’d predicted? Yet, even though it’s a bad thing for you, on some level you’re pleased because you can say you’re right? If it’s nice to be right in a bad circumstance, imagine feeling right all the time. Pretty sweet! Intolerance rocks! Not only do you get the satisfaction of being right all the time, but you save so much time. When like Hagee and his ilk, you see the world as completely black and white, it gets a lot easier to understand. There’s no reason to be intellectually curious. There’s only right and wrong. We’re right. You’re either for or against us. Any of this sounding a bit familiar? Hate and war become natural. There’s no need for silly things like compassion or trying to understand other points of view. Frankly, it frees up a lot of your schedule. And that’s why religious people tend to be so mean. Are People Bitter? The Answer Here! Barack Obama is making a lot of news for comments about people in small town America being bitter. Both Hillary Clinton and John McCain have called his comments “elitist”. They may be, but was he wrong? Yes, Virginia, Barack was wrong. People aren’t bitter. That would be an improvement. What they are is apathetic. The American Dream may not be dead, but it has certainly turned on its snooze alarm. People no longer believe America can achieve the things it sets out to. The very same conservatives who are busy cheerleading the war effort and double checking that everyone has the appropriate flag lapel pin or lawn ornament, have done much to kill the confidence Americans once had in America. Think about it. For the last thirty or so years, America has been dominated by a bunch of people busy telling us what government can’t do. Gone is the government that won World War II, gone is the government that belatedly but doggedly pursued Civil Rights Legislation, gone is the government that put a man on the moon or was visionary enough to establish retirement programs such as social security. Thanks in large part to conservative politicians and talk show hosts, we no longer believe. But, in fairness, it’s not just the conservatives, the liberals have contributed mightily to the loss of confidence too. Liberals, these days known as progressives, lost touch with the values of average Americans. They spent too much time and effort on causes America wasn’t yet ready for. I agree that you have to fight for the beliefs that will make a better future. But, you’ve also got to pick your battles. Liberals have been horrible at that for the last thirty years. Worst of all, liberals stopped defending themselves. They somehow let the term “liberal” become a dirty word. For most people, the word now conjures up an elistist, ineffectual person who’s woefully out of touch and busy fighting for the rights of three billed horn-toed slugs rather than the average America. Somehow liberals lost the war for the American mind and soul to a group of people whose chief message is “we can’t help you”. Seriously, how did the conservatives do so well over the last three decades with such a bad message? When you add the failings of conservatives to those of the liberals, you get stagnation. We’ve spent the last thirty years calling each other names rather than figuring out what we can agree upon so that we can actually fix some things. 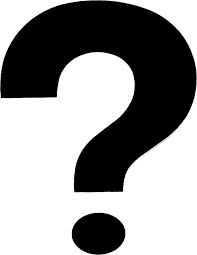 Why is it that years after 9/11, we still haven’t figured out border security? How is it that we still don’t have universal health care when most CEOs are making millions even when their companies tank and when most people’s biggest worry is not losing their job, but losing their health care? Why are we stuck in Iraq after and despite the lessons of Vietnam? What happened to war as an absolute last option? Why is the gap between the wealthy and poor getting ever greater in the greatest country in the world? With questions like these facing America can you blame any of us for losing faith? Or maybe getting bitter? So, Barack was wrong. But, where he’s been right is offering hope. Here’s hoping that he’s the real deal and that he means what he says when he talks about wanting to work with Republicans to get things done. We could use someone inspiring again in the Oval Office. PS – Sorry if this post sounds bitter, but at least I’m not apathetic! Is Conservatism Dying? 2008 Rocks! This election already ranks as the most interesting in my four decades on the planet and it’s not close to over yet. It’s truly exciting to think about how many firsts we’ve seen so far. The big headline of course is of what may be. 2008 may give America our first female or first African American President. I keep hearing from people (among them women and African Americans) that Americans are not ready to vote either a woman or an African American into the White House. Hear it here and here it clear. America’s ready. I think the turn out on the Democratic side proves it. Those people in Iowa, New Hampshire and South Carolina among other places, weren’t coming out for Republicans in that same way. And they certainly weren’t coming out to vote for John Edwards. They were coming out for Clinton and Obama. We are a nation ready for change and hoping it’s going to happen. The only question is whether Clinton and Obama are respectively the right woman and African American. Though we are a nation looking for new direction, that does not guarantee a Democrat is going to get into the White House. On the Republican side, while the possibility of the first Italian American President is temporarily gone, John McCain may yet prove to be the first candidate to rise from the dead to claim the title of Commander In Chief. Of course, if McCain fails, we may get our first ever Morman President. Governor Romney may also prove to be the first presidential candidate to at one point have supported every position possible on every issue. Let’s just say he keeps all his basis covered. Taking another second on the conservative side of things, another first is that no matter who leads the Republicans, it will be the first time in decades that the Republican candidate has questionable conservative credentials. 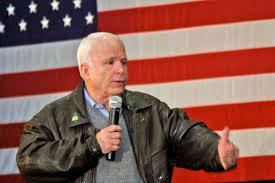 McCain is many Democrats favorite Republican for his stands on immigration, ethics reform and general willingness to break ranks with his own party. 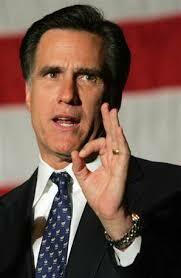 Romney, despite his current protests, wasn’t particularly conservative while serving as governor. And though he’s in need of a miracle, it’s worth noting that Huckabee too has been accused of liberal views. When you add it up, it looks like conservatism may be fracturing making it a tough year to be Rush Limbaugh. Even if his side wins, he loses. 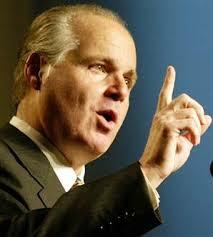 Then again, on some level, I guess that every year is a tough year to be Rush Limbaugh.